Designed to offer impressive versatility, the exceptional cut and heat resistance of the Portwest Cut-Resistant Hi-Vis HPPE Gloves A688 make them suitable for providing protection across a wide range of industries. 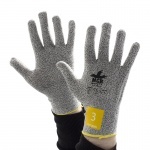 While they offer excellent, long-lasting abrasion resistance, the breathable design ensures comfort even during periods of extended use. 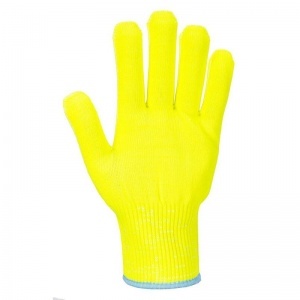 The Portwest Hi-Vis HPPE Gloves are highly versatile, especially as they are designed in a bright yellow hi-vis design that is ideal for use in dimly lit environments. 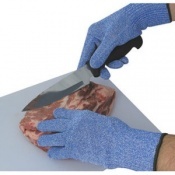 Furthermore, they offer exceptional cut resistance and heat resistance, meaning that they excel in work such as fabrication, glass manufacture and metal handling. 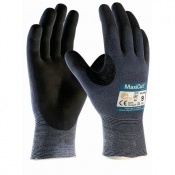 The Portwest A688 Gloves are available in four sizes that should be suitable for most users. To find your perfect pair, please measure the circumference and length of your palm and match the results to the table below.